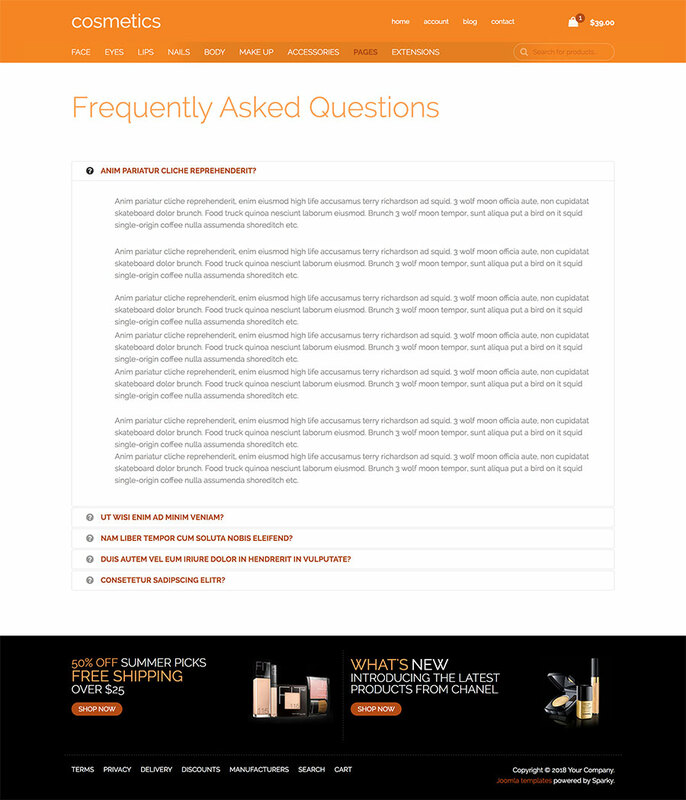 The Cosmetic template was first released in fall 2011. Very soon, it became one of the most popular Joomla templates. 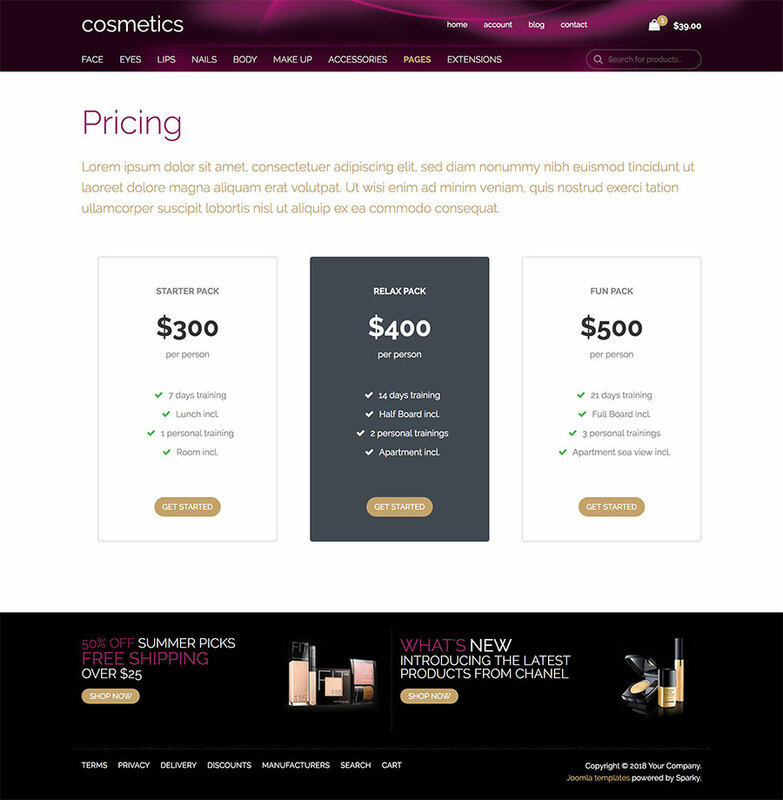 We are proud to announce the revamped version of the Cosmetic template. 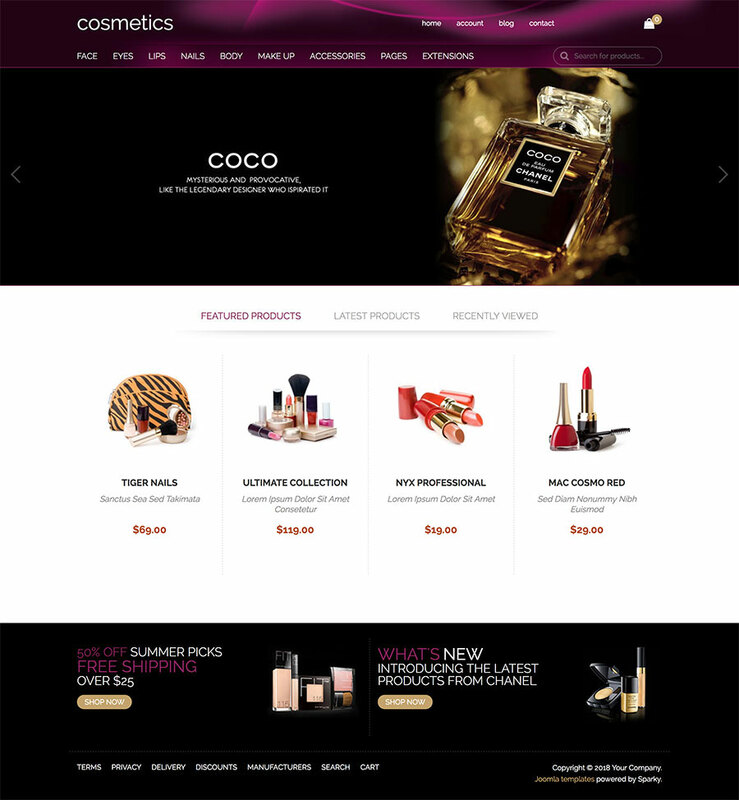 Hot Cosmetics is now fully redeveloped and based on the Sparky Framework with significant improvements in design as well, following the modern web design standards. 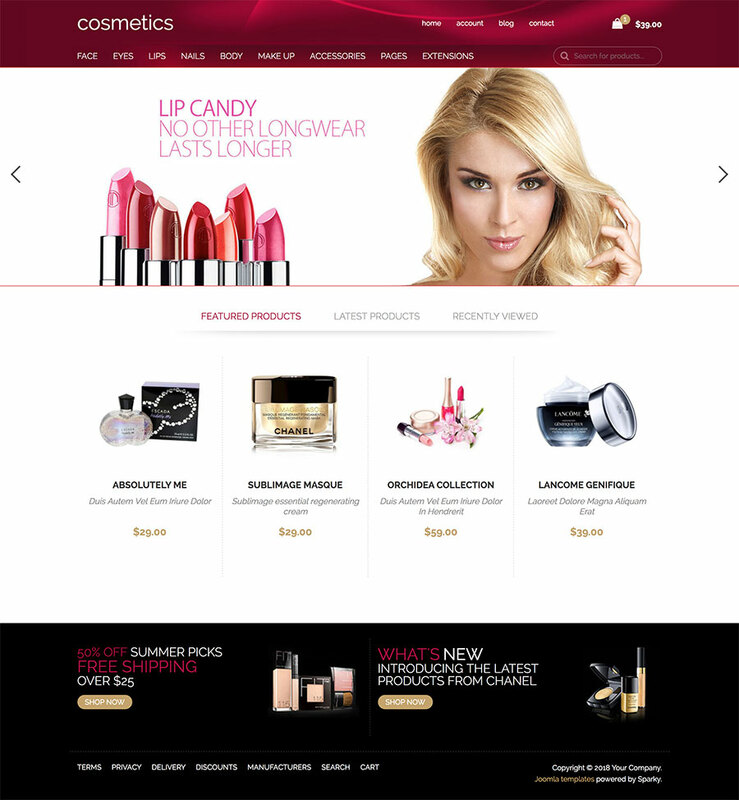 This is another Joomla template in our collection with full support for VirtueMart e-commerce component. 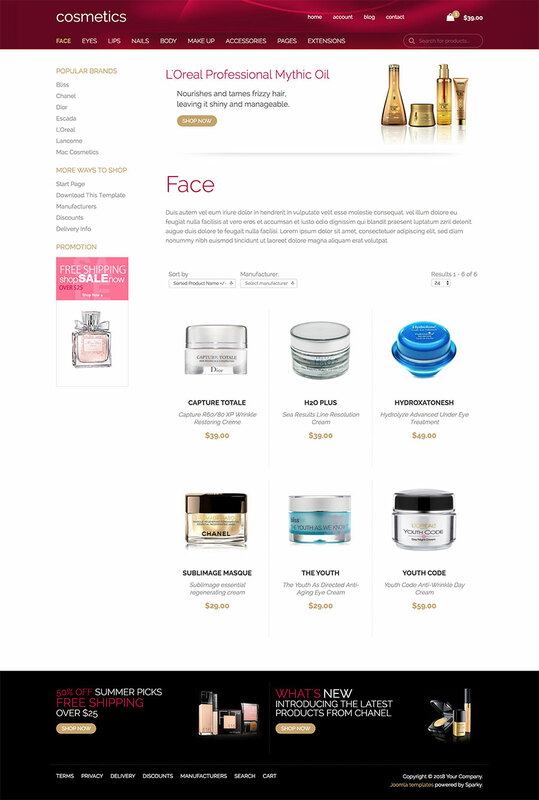 The Cosmetic template is created as a VirtueMart store, dedicated to the stores that sell cosmetics, fragrances, accessories and similar products. 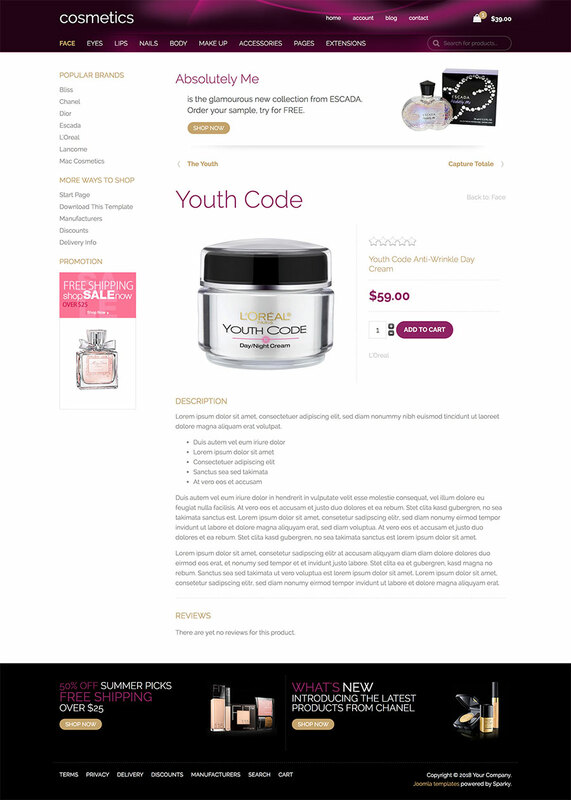 Home page of the Cosmetic template is an entry page with a big slideshow reserved for your most important products and current promotions. The layout is not too complex and overwhelmed, so it allows your visitors to become your buyers in just few clicks. They first browse your store by categories and manufacturers of your products. Then they simply select a number of the items for purchase and go to checkout! There are several places where you can advertise the store's special discounts and promotions throughout the site. It's made using Joomla banners. 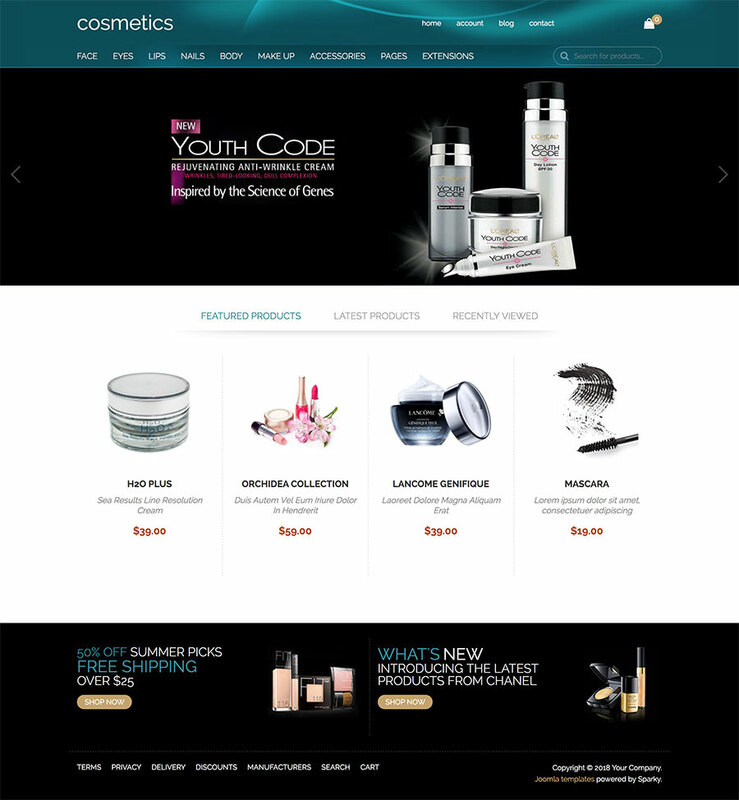 Hot Cosmetics supports the latest Joomla and VirtueMart versions. Also, according to the standards in modern web design, this template is fully responsive and looks good and optimized on all mobile devices (tablets and smartphones). 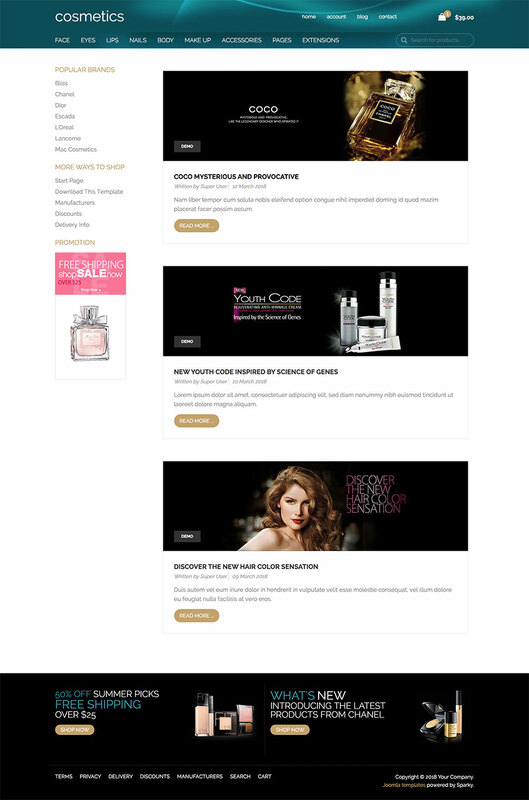 We hope that Cosmetic template will help you to achieve success and profit with your cosmetics store! 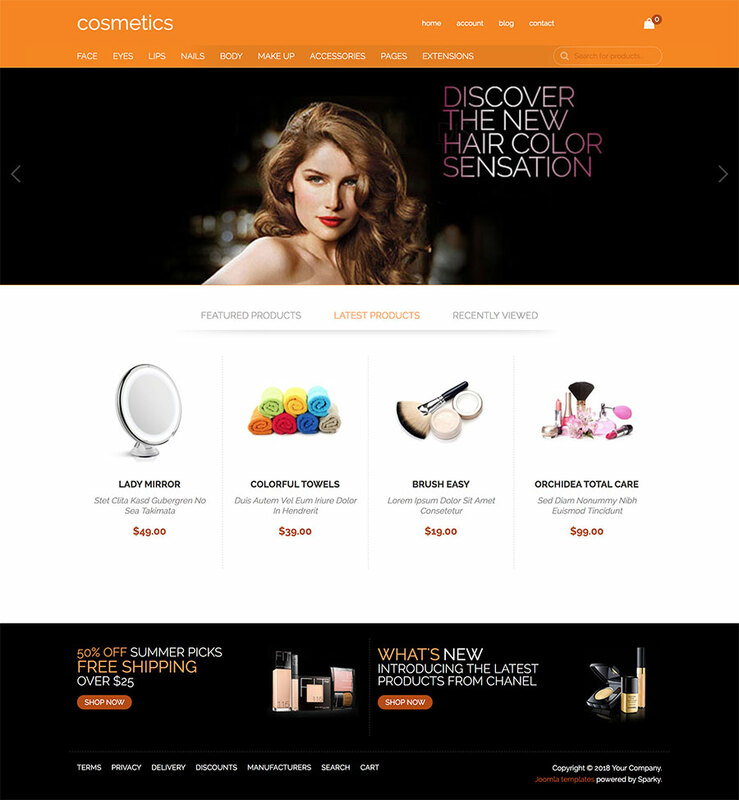 Cosmetic template has e-commerce features, powered by VirtueMart component. 4 color schemes included. You can change any color through the template parameters easily. We included several responsive Joomla modules with this template. Hot Effects Rotator (with interesting animation effects), Hot Slicebox, Hot Responsive Lightbox and Hot Maps. All these modules are included with this template without any additional fees (you save $15 per commercial module).